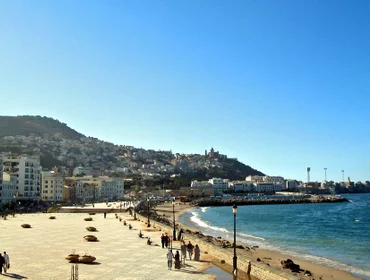 Find Algeria travel and tourist information with links to official travel and tourism websites and state resources for visitors to Algeria. Stretching from the shores of the Mediterranean to the sands of the Sahara Desert, Algeria is Africa's second largest country. Morocco, Western Sahara, Mauritania, Mali, Niger, Libya and Tunisia. Algeria travel may not be an option on many travel agent's itineraries, but people are always curious about the place. At the end of the 1980's many travellers still enjoyed the Peugeot run to West Africa by way of Algeria, or came across the desert on motorbikes. Not any more; even the Paris-Dakar has avoided this country in North Africa. Disturbing massacres are full of contradictions, as always. The CNN anchor has a hard time with the Algerian minister, who accuses Amnesty International of inflating the figures and not knowing the full story. Ever since one of the 20 companions of Hercules founded a trading centre here, Algeria has been rocked by rebellion and warfare. Sailings to Algeria from Marseilles, Alicante, Valencia and Genoa. For anyone doing a little bit of preparation, or joining a good organized tour, Algeria's treasures are again available to the curious and adventurous. Organises 4x4 desert expeditions in the spectacular Hoggar Mountains and to the impressive plateau of the Tassili N'Ajjer. These two National Parks are situated in the south of Algeria, in the very heart of the Sahara desert. 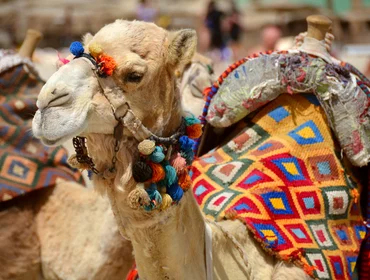 Runs cultural, historical, archaeological and adventure tours the length and breadth of Algeria from the Roman sites of the Mediterranean to the sand dunes of the Sahara. 3 Chemin Capitaine Hocine Slimane, Algiers, Algeria. 119 rue Didouche Mourad, Alger. 2 rue Ismail Kerrar, boulevard de Che Guevara, Algiers, Algeria. 126 Bis A, Rue Didouche Mourad, Alger, Algérie. 05 Chemin Cheikh Bachir Ibrahimi, El-Biar 16030, Alger, Algerie. Most people visiting Algeria will be looking for hotels in Algiers, the capital. 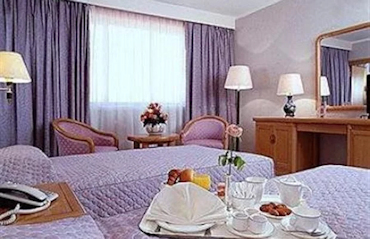 Compare hotel prices in Algeria. Algeria Travel - Algeria Maps. Hotel photo links direct to the official hotel website. The Grand Hotel Mercure Alger Aeroport is a luxury hotel with a large swimming pool, business centre, and three restaurants. Close to Houari Boumediene Airport, a shuttle service is available for those staying at the hotel. Boite Postal 62, Club Des Pins, Algiers, Algeria. When Sheraton played host to the OAU African Summit, 57 heads of state stayed at this resort hotel. Sheraton Club des Pins is the first five-star resort in Algeria and boasts the only private beach in Algiers. 172, rue Hassiba Benbouali, Algiers, Algeria. 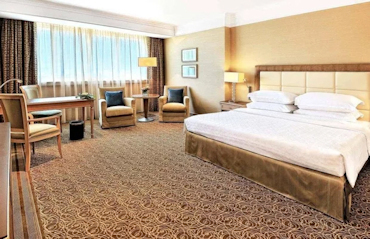 Overlooking the Mediterranean and the city of Algiers, the Sofitel Algiers Hamma Garden is close to the Hamma business centre and the Belcourt quarter. 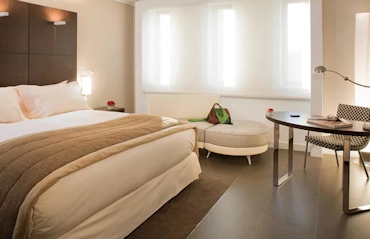 Formerly home to the novelist Albert Camus, the hotel adjoins the Jardin d'Essai.